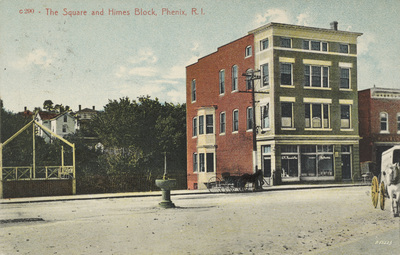 "c 290 - The Square and Himes Block, Phenix, R.I." by Blanchard, Young & Co., Providence, R.I.
c 290 - The Square and Himes Block, Phenix, R.I.
Used; Postmark: November 11, 1908. Blanchard, Young & Co., Providence, R.I., "c 290 - The Square and Himes Block, Phenix, R.I." (1908). Rhode Island Postcards. 111.